Batter up! Join the Bauer College Alumni Association (BCAA) on April 2 as they host a special networking luncheon at Minute Maid Park with special guest Jeff Luhnow, Houston Astros general manager. Luhnow became the 12th general manager in club history when he was named to the position on Dec. 7, 2011. He joins Houston’s front office after spending the last nine seasons with the Cardinals. 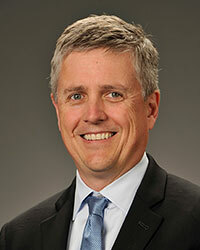 Jeff Luhnow became the 12th general manager in club history, when he was named to the position on December 7, 2011. He joins Houston’s front office after spending the last nine seasons with the Cardinals. Luhnow most previously worked as St. Louis’ vice president of Scouting and Player Development, a position he held since September of 2006. In this role, Luhnow oversaw the amateur scouting and player development departments for the Cardinals. He was instrumental in the organization’s minor league successes during his tenure, including the best system record in baseball in 2010 and five minor league championships combined from the rookie leagues to Triple A. St. Louis was also named the 2011 Organization of the Year by Baseball America. Luhnow joined the Cardinals in 2003 as Vice President of Baseball Development. He was placed in charge of developing player evaluation methods, which would assist in player personnel decisions at both the amateur and professional levels. Luhnow oversaw the opening of the Cardinals baseball academy in the Dominican Republic in 2004 and led the re-establishment of the club’s operations in Venezuela. Luhnow is a graduate of the University of Pennsylvania with dual Bachelor of Science degrees in economics and engineering. He received his MBA from Kellogg Graduate School of Management at Northwestern University. Luhnow was born and raised in Mexico City, Mexico and is fluent in Spanish.